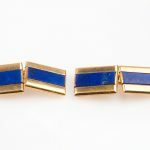 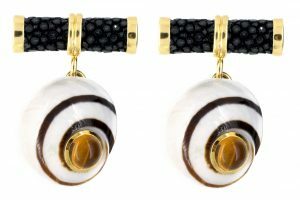 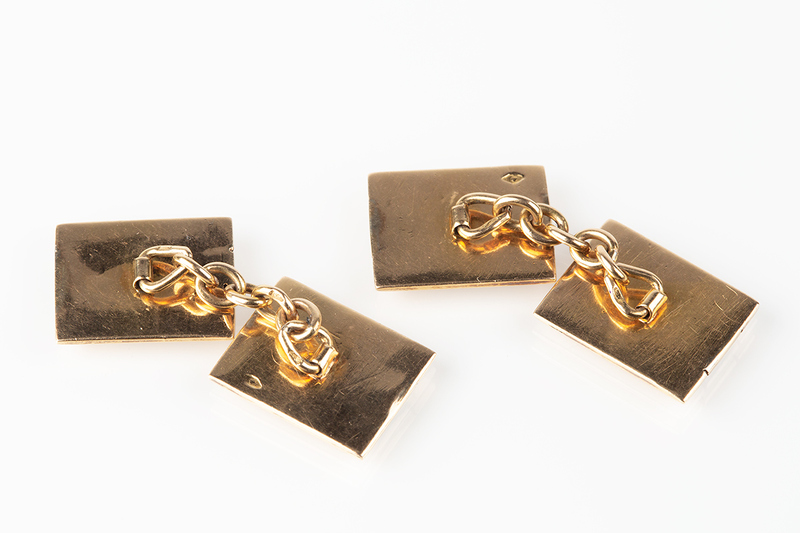 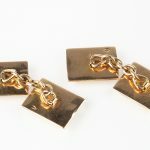 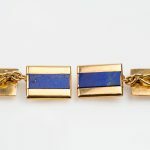 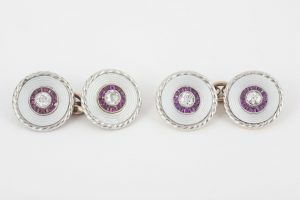 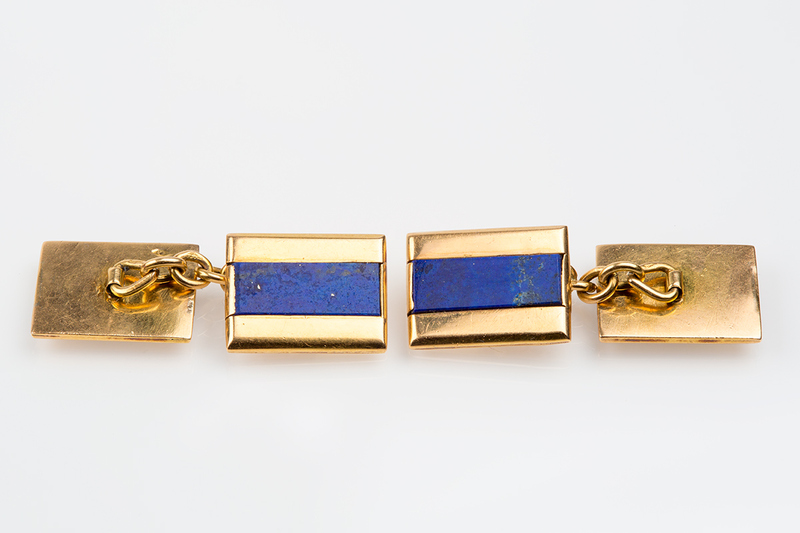 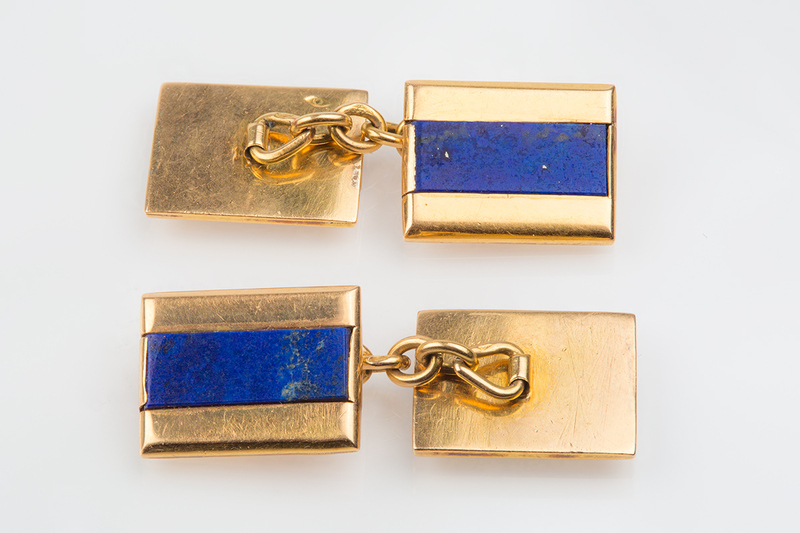 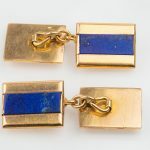 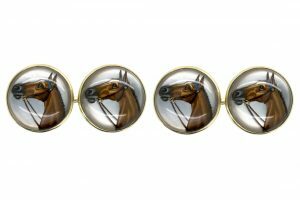 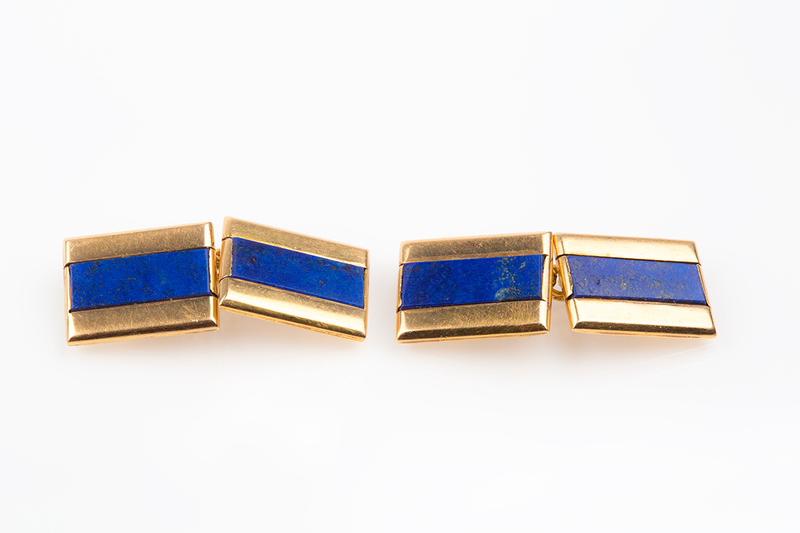 Oblong shaped double sided cufflinks in 18 karat yellow gold with a central strip of natural lapis lazuli. 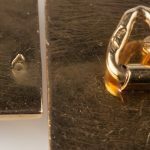 Chain link connections with a French mark of the eagles head. 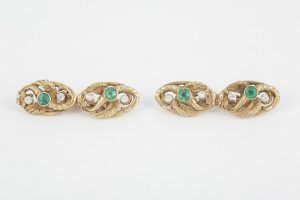 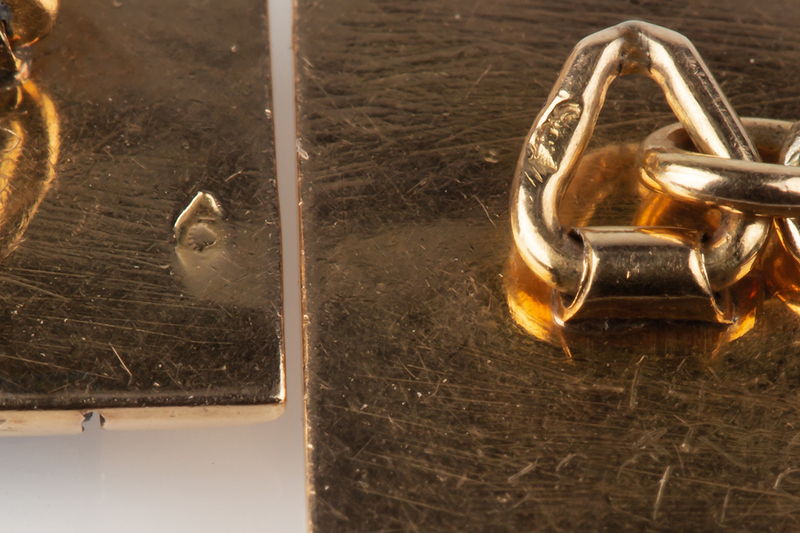 Measures 10mm in width x 13mm in height.